My opinion is thus, if the army does not have rules in the handbook then it is not safe. Brayherd are gone and they had GHB rules. Granted they got rolled into Beasts of Chaos so the models were not lost, however it stands that GHB info is no protection. Heck Greenskins had their getting started set in a white dwarf advertising page for the new Skirmish only weeks before their line was pulled from sale. To be matched play legal you need 2 things. 1) a Pitched Battle Profile (points that are most often in a GH but sometimes can be found in a outside pdf) and 2) you must use the most modern warscroll. I'm not sure there is anything stopping someone from running Brayherds as outlined in the GH. I think there needs to be a better system for outlining what is matched play legal. I have seen people have arguments over whether a player can use Tomb Kings etc. Yes their points (Pitched Battle Profile) are old... but they are points and they are the most modern warscroll so they are 100% legal in the current game. Some clarity would be great on the direction GW wants to go. Such as you need matched play points in the most current GH or something. I could find the citation about the 2 criteria for matched play legally... I think it’s in the section of the core book on matched play called pitched battle. But without clarification it will be messy what happens to greenskinz. I don’t think there is an argument against using GH2018 point if they are dropped from GH2019. But that is incredibly silly. But no less silly then using pdf FW points or compendium pdf points. 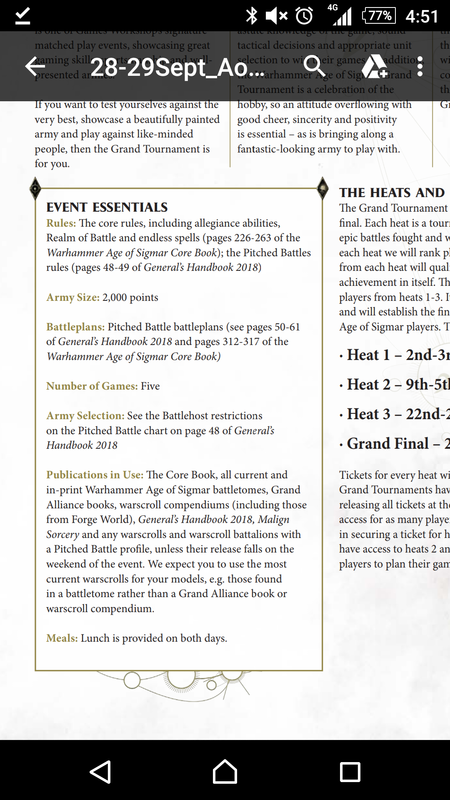 Generally speaking any faction without a Battletome is "gone" in the sense that they are unlikely to get updates in further editions of the GHB nor AoS in general. Ergo yes they might be fully legal and work now, but they might well not be taken forward with the rest of AoS. Much like how I expect index models from 40K to get left behind as well. Of course with all things GW can bring them back if they want, its just that if you're not "protected" in an up to take tome you're at a high chance of being lost in the short term and likely the long term too. Daughters of Khaine have the medusa and masked thing going on, idoneth have Greek hoplite style warriors. Slaanesh has Xerxes and the cow person KoS. Elves are Greeks and their enemy Slaanesh are the Persians. Does this mean we might see a cavalry faction - oh yes Genghis Khan AoS! 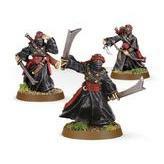 I'm not going to lie, any new oriental themed army will be an instant buy for me. Bonus points for mounted archers. Of course, whether or not we'll ever see anything like that is.. not hopeful to me. Not anytime in the next 1-3 years at least. While I know we won't get Cathay back, something done in that manner would be more what I want. I think having a new human race to go along with Free People (although as it's own faction\battletome) would be great and something like that could easily be be made unique enough to fit their current IP standards I would think. At one point chaos dwarves had a whole range of metal hobgoblins mounted and on foot. I still think it's a combination of GHB and/or Official AoS site. I mean seriously, they literally told what was going to be inside Gloomspite Gitz like 6 months before GG even were previewed. Honestly the old plastic wolf riders were somewhat mongolian like too, despite being common goblin and not the hobs. Maybe its the fuzzy hats. Cliche? Maybe. But given GW's plastic sculpting skills I think it would be great to see what they can come up with. Especially with the popularity of things like anime/manga, three kingdom era china, gritty asia themed games like sekiro/onimusha/nioh, sengoku era media, mortal kombat, etc. That is a very good point, can't believe I did not notice that. As you can see you can use any warscroll that has a pitched battle profile. All the old units are still included in warscroll builder which is an official GW piece of software even if it is not made by them directly. Any army may get minis replaced or abandoned but so long as the rules still exist in the app with points on warscroll builder, you can play them at any GW event. The only real caveat is that you have to use the most recent version of the warscroll. The thing is that's only for GW events and only for the now. Those "dead" armies won't get new models; they won't get endless spells; they won't get updated for 3.0; they won't get new features or additions. They will remain just as they are. GW has given rules and allowed them to be used, but with no models, no official support nor mention and not even any current sales they are basically dead armies. Sure you can still use them, but only people who already have collections will make use of them, whilst many might sell them on to others completing collections and move onto armies that are currently supported; that will get new things and updates and be carried forward with the game. It's why you don't see Squats on the 40K battlefields despite the fact that you could likely still use them and also find the models (though I'd wager they are old enough that finding and buildling a full army would be quite a costly challenge and likely involve a fair bit of converting along the way). Still it would be great to see halve of the players bringing one of those so called dead armies with them. just think of the face Gw would make when the whole tournament would be dominated by one of those armies. Alll!!!!! Nothing is save!!!! Buy all the stuffs!! I can agree there. People just need to be patient, us dwarfs are stubborn and our time will come. Again, besides some elves, I don’t see any other army leaving us in at least 3+ years. free peoples have their own trilogy of novels (its main character is ironweld, and two of its main supporting characters are free people [a demi-gryph knight and a free guild mercenary]), also I heard that atleast one of the designers was wanting to write one (so creative interest is still there). but otherwise i agree, if high aelves are squated it would likely only be partial, the skycutter is relatively new, a unique concept and very dynamic. If its any consolation to gutbuster players gut busters are in the battle report for the March white dwarf. I don't think gutbusters are going anywhere. I'm a dispossessed player but I'm not worried, we have sculpts as recent as 8th Ed fantasy, good lore support in both core lore and novels and also dedicated support in the GHB plus the hints we've seen on models like the Gloomspite gitz. For me with dispossessed it's not if but when they will get updated. Also just to note old discontinued kits can also be repurposed. I use dwarf miners as warriors with 2 handed weapons. Most of the old dwarf engineer and runesmith metal models double up well as ironweld engineers, Runelords or thunderer / ironbreaker champions etc etc. 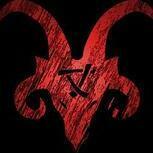 I can’t see dispossesseds leaving the realm of the living. After having had a release that brought not only the Gloomspite grots back but also the undercermin known as the skaven, we really need some stubborn mountain workers who’ll fight those vermin’s back. we just can’t entrust such a duty to some golden metal plated humans. This is about the grudges which must be undone by the Dispossesseds, grumbling about there lost Karaks.